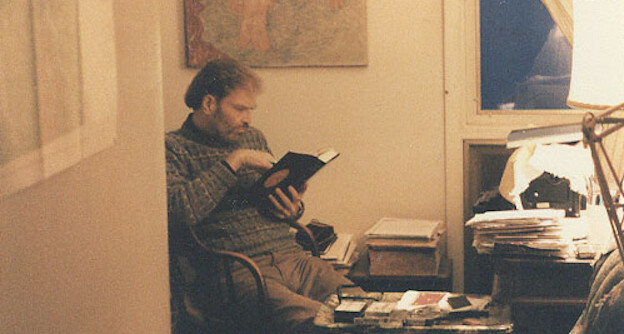 Kenneth Irby reading in his study. I will always be grateful for his guidance in word-smelting. The whole prospect is thrilling — its inherent draw demonstrated for posterity in Irby’s oeuvre. I would teach it even if this were the only reason.